I have a 2008 4Runner Limited V8 4x4. About two weeks ago my a/c suddenly went from working fine with no issues to making a loud buzzing sound from the engine bay when the a/c tried to engage before turning off after a second and showing a flashing light on the a/c switch showing a fault. It appeared that the compressor had seized up and repair shop #1 checked it out quickly and agreed. I ended up picking repair shop #2 to do the repairs because they have done work for my boss for many years and their price was equal or less than shop #1. Shop #2 orders an A/c kit for my 4Runner and does the compressor/clutch unit, the condenser/dryer unit, flushes and recharges the system. 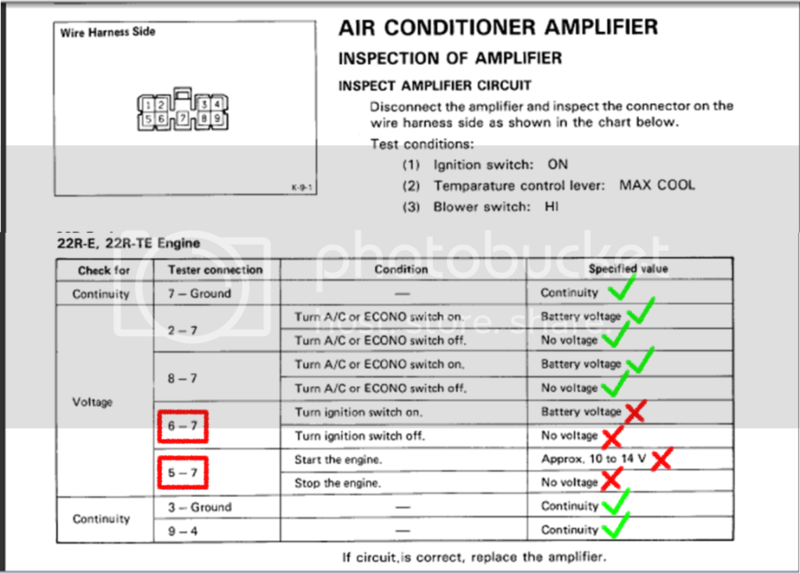 When they go to test it out and engage the A/c system, nothing engages and after a couple seconds the A/C light changes from a solid to blinking, indicating a fault. 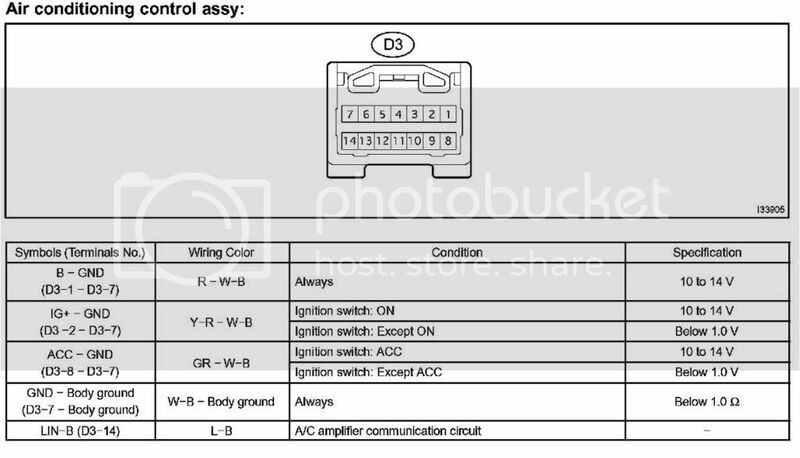 They evidently did a bunch or diagnostic work and isolated it down to the A/C amplifier(aka computer, aka module). I don't know if they tested each individual sensor that feeds into the amplifier but they seemed pretty sure it was the amplifier. I wasn't going to pay them to replace what appears to just be a box under the dash and so i picked it up and paid them for the parts/labor already done. They showed me the amplifier before they put the dash back together and showed how it didn't work normally. Then they put either power or ground to the yellow/brown wire in the a/c amp wiring harness and when they did that, it engaged and the ac worked fine. I think they were basically bypassing the amp. Now, I have found a secondhand a/c amplifier for around $100, which is less than the 300-500 that toyota dealers and parts retailers want. If its just the a/c amplifier, it should be a decently simple job of getting into the dash and switching out the box. My concern is that as of a day before taking it in, it appeared that the computer was still working fine because when I tried to engage the A/c, you could hear the clutch/compressor making that loud buzzing sound in the engine bay. I guess it could have burned out since then or if there is a relay inside the amplifier, that could have burned. Otherwise, I'm concerned that I'll get the used a/c amp and find out that it still doesn't work. My records indicate the 2008 Toyota 4Runners don't have an A/C Amplifier. That might be why its hard to find. It definitely has one. I saw it when the shop showed it to me and I've called the dealer to price it new. Its a Denso made toyota part and the model number is 88650-35260. OK... Deeper look at the specs. Is this the connector you have? ?